Easter Sunday: Candy toss on the lawn at 11 am, and breakfast specials in the Ironwork Grill. Breakfast served until noon. This former Masonic & Eastern Star property is peppered with unique rooms, restaurants, a spa and free live music and events. Summertime brings free outdoor music on Thursdays and Fridays, and head inside for music on Wednesday through Sunday nights. Just 25 miles west of Portland, you'll enjoy local and seasonal pub fare in the two restaurants to fuel your next adventure. Pat's Corner offers seasonal outdoor seating on the lawn. Recharge in one of the 90 guestrooms, and you'll soon be on the mend in the Doctor's Office Bar, where pool tables beckon. Choose from distillery flights or signature cocktails; unwind with inventive beers and wines crafted from the very grapes and hops that characterize the Cascade region. Late night revelers may meet the Lavender Lady, whose spirit is said to dance through the halls. Spirits and historic figures are commemorated with fanciful art woven throughout—from pipes to headboards—and local historical photographs. Rejuvenate in the soaking pool nestled among the outdoor greenery, open year-round, which pairs well with a massage, manicure or other restorative wellness options at Ruby's Spa. Nearby, guests can discover Hagg Lake for fishing, boats for rent, and trails for hiking and biking--as well as the thrills of a zipline park adjacent to the lake. More fishing and hiking spots are found in the Tillamook State Forest. To top it off, it's just a hour’s drive from the Grand Lodge to the famed Oregon Coast. While here in Oregon Wine Country, visit dozens of area vineyards and winery tasting rooms. Also in Forest Grove is an opportunity to tour and taste at SakéOne, the leading brewer of craft saké in the U.S. The 90 guestrooms at the Grand Lodge feature whimsical artwork, original porcelain sinks and air conditioning. Guests may choose from rooms with private baths, or shared common private bathrooms down the hall. Foundation Guestrooms reflect musicians and others who have influenced McMenamins in some way; there's the painting of Bob McMenamin (the father of Founders Mike and Brian) and his namesake "Bob's Bar" featuring live music until 10pm, adjacent to the rooms, as well as a Bob Marley room. This wing is part of the building's foundation as well. The Main Floor Guestrooms benefitted from a recent upgrade, giving the majority of rooms their own attached bathrooms. Our newest addition, the Third Floor Guestrooms, each have private bathrooms, and are named after a literary passage or book, which inspired the artwork as well. It’s a floor full of mystery and surprises around every bend. Enjoy the hand-painted headboards inspired by writers, and a Grateful Dead-inspired light bulb display. Hearing a suspicious knocking in the walls? Not to worry – it’s not a ghost or some noisy neighbors. It’s just our historic and efficient radiator warming up to keep things cozy. If you only have time for one attraction, this is it - don't miss Washington County's vineyards. While our neighbor to the south (the esteemed Willamette Valley) may be more well-known for its wineries, our Washington County area also hosts a multitude of wonderful vineyards, all within 10 miles of the hotel. Take a guided tour or just drive around by yourselves for the day. Tap into your inner adventurer and climb and zipline your way through the trees at Tree to Tree Aerial Adventure Park. Five miles outside of town, enjoy the great outdoors at Henry Hagg Lake. Soak up the sunshine on water skis or boats. If it's not warm enough for sunbathing, the lake also offers great bike trails. The Tillamook National Forest is within half an hour's drive and is a haven for outdoor enthusiasts, with miles of trails for all levels of hikers and easy access to several rivers and streams for fishing or swimming. The Fernhill Wetlands is a local sanctuary for waterfowl and birdwatchers alike. For golfers, the area surrounding Forest Grove offers up several choices to practice a quick nine holes or go the whole eighteen. Downtown Forest Grove hosts many antique dealers, boutiques and other small shops. Pick up a souvenir to remind you of your trip. The Streets of Tanasbourne shopping mall is a short drive away and includes REI, Banana Republic, Macy's and more. And for more ideas, check out the Washington County Visitor Association website. 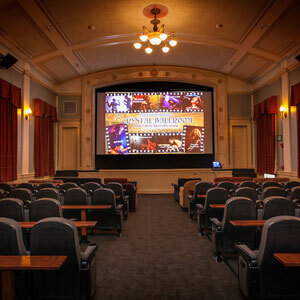 The Grand Lodge Theater combines old world charm with a new world theater experience – and movies daily! Enjoy the comfort of our moviegoing experience: new screen, sound system, deluxe rocker seats, couches and more. Artwork plays an important role in the character of McMenamins locations throughout Oregon and Washington. We believe art makes life richer and more enjoyable. So, you'll often find paintings covering our walls, ceilings doors, overhead pipes, and equipment – works as diverse and entertaining as our places for family and friends. Many artists have contributed to this vast variety of delightful eye candy. Jump in and enjoy some now! After 20 years of planning and fundraising, designs are initiated at Forest Grove for a Masonic and Eastern Star Home for the State of Oregon "for the aged and infirm, and the poor and distressed worthy Master Masons, their widows and orphans . . ."
The first contract for construction was let on May 2, and the corner stone was laid June 16. The main lodge's central area and east wing are completed on January 1. The first resident, Brother Henry Mounts, moves in on February 24. The dedication of the Home is held on June 14. The smaller building, called the "Children's Cottage," is completed in November 1926. Intended to house orphans of Masons, the Cottage's capacity is 32 children. It is determined that the orphanage should be closed because the relations between the elderly and the children are less than harmonious. Children start relocating to outside families. The salaries of Home employees are slashed 15 percent. New dairy barn built to save money on the cost of dairy products. Farm and dairy is discontinued in view of financial deficits. The Columbus Day Storm causes considerable damage: most of the Cottage roof is torn off, the dormer roof over the main lodge porch is damaged and twenty trees are uprooted. The power is knocked out and remains off for several hours, but the Home's auxiliary plant is in action within ten minutes of the power outage. The offices of the Oregon Grand Lodge are relocated to the former Children's Cottage. The Masons build the Jennings-McCall Center, a 72-unit elder-care apartment complex just north of the Masonic Home. The Masons build Jennings-McCall II and a new Grand Lodge office and meeting facility with the intent of moving out of the original Masonic Home and Children's Cottage. McMenamins agrees to become the new "custodian" of the great old property. Renovation begins that fall. The property reopens as McMenamins Grand Lodge. In the depths of the Grand Lodge, we’re transforming fresh vegetables and herbs to concoct new flavors. Our fermentista makes small-batch sauerkrauts, giardiniera, curtido, vinegars and shrubs and Terminator malt vinegar – and these jarred delights are being woven into entrees and cocktails served on the property. Vinegar, kraut and shrubs are now sold at the Front Desk as well. Check the menu for salads, small plates and pizza featuring house-made giardiniera, an Italian relish of crisp, pickled vegetables. 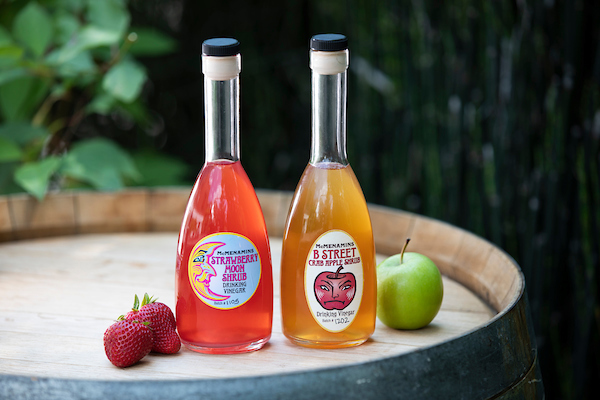 Ask a bartender for a featured cocktail with house-made strawberry rhubarb shrub – a drinking vinegar with just the right amounts of fruit, sugar and vinegar. An event at the Grand Lodge will leave a lasting impression on your guests, whether they are colleagues, family reunion attendees or friends gathering for a wedding celebration. We offer a variety of event spaces, guestrooms, a full-service spa and more. A gathering at the Grand Lodge takes you into a beautifully rural wine-country setting – yet is still convenient to the Portland International and Hillsboro Regional airports and only 30 minutes to downtown Portland.